I guess I don't really get it. 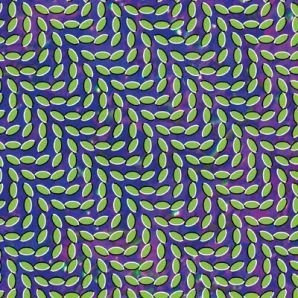 I love experimental music and I am from Baltimore (Merriweather Post was where I used to spend my summers watching concerts), so I am predisposed to like Animal Collective, but I just haven't been won over yet. The calls for 'album of 2009' are absolutely rediculous both becuase we are in the first week and more importantly this album just isn't spectacular. Pitchfork gave Merriweather a 9.6 rating, SPIN - 4 stars. I don't think this is terrible by any means, here are some of my favorite tracks off Merriweather Post Pavilion below, I just think all the hype has tarnished these guys a little bit. On behalf of Domino Records and Animal Collective, we would kindly ask you not to post copies of "Merriweather Post Pavillion" on your site (or any tracks from the artist’s new album – street date 20th January). We do appreciate that you are fans of / are promoting Animal Collective, but the label and artist would greatly appreciate your co-operation in removing your links to the pirate files in question. Thank you for respecting the artist's and label’s wishes … .. and, for info on “Merriweather Post Pavillion” and the band’s 2008/09 shows, check-out www.myspace.com/animalcollectivetheband and www.myanimalhome.net … .. you can also view Animal Collective videos at www.youtube.com/dominorecords, for details of preview material and pre-release promotions, keep an eye on these official sources. I'm with mikerog; just can't get it, headphones or no. Feels like I should be liking it, but just not that great; tho' I am happy it's making many people's 2009... but to be sure it's too soon to call it album of the year? I'm going to have to disagree with your post, and side with Justin on this one. Animal Collective's latest is a true work of art- a collaboration of the experimentation which they have used so freely over the past 8 years or so. It's a fantastic album, very listenable, and quite catchy. Without a doubt, one of the frontrunners for "best of 2009" status.